When the Affordable Care Act went through Congress many of the ideas which would have lowered costs failed to make it, with the final law concentrating more on expanding the number of people who are covered. Insurance has always been very expensive on the individual market, and many are watching to see how rate large increases will be compared to the past. It was expected that on average premiums would go up the first year before subsidies are considered because insurance in the individual market often only provided very limited coverage with sales limited to healthy people. There is good news out of California where premiums are only expected to rise 4.2 percent after years of double digit increases, but there is disagreement as to the reason. 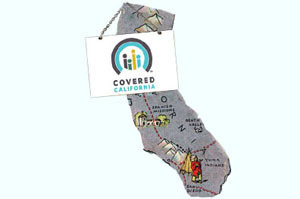 After years of double-digit rate hikes in health insurance premiums, California will see average increases of 4.2 percent in 2015 for people who purchase insurance through the Covered California exchange, the state’s Obamacare marketplace. It’s good news for consumers, but two of the top insurance officials in the state disagree about why it’s happening. Covered California’s executive director and other analysts pointed to specific factors for this moderate increase. For starters, enrollment was very strong in 2014, more than a million people. In addition, healthy people signed up, spreading the risk. But the state’s insurance commissioner, Dave Jones, sees a different force in play. He believes that a statewide ballot measure, Proposition 45, has insurers scared. “Health insurers have hit the pause button” on rate hikes, Jones said Thursday, just hours after Covered California announced its 2015 rates. When rates were introduced in May 2013 for Covered California’s opening year many experts said they were surprisingly low and thought those low rates might be a “loss leader” strategy, said UCLA health policy professor Jerry Kominski. There was a concern that rates were low to get people into the market and then “jack up prices” later, he said. Earlier this week, Jones released an analysis done by his staff, looking at 2014 vs. 2013 individual plan rates and found average increases of 22 to 88 percent for people who bought non-subsidized policies. In contrast, Florida’s largest insurance company, Florida Blue, is increasing rates by an average of 17.6 percent next year due to attracting more older adults who were previously uninsured and are now using more services. By comparison, rates increased by amounts almost as high before the Affordable Care Act. Their rates increased by 16.5 percent in 2014, 16 percent in 2013 and 11.5 percent in 2012. Those in more restrictive networks from Florida Blue will see lower rate increases averaging 13 percent. The full effect of this increase will be on a limited portion of the population as almost 90 percent in Florida receive subsidies, which is a little higher than the national average. Avalere, a consulting firm, found in June that average premiums for a 40-year-old, non-smoker would increase by about 8 percent next year, based on an analysis of “silver” plan rates in nine states. Changes ranged from a 1.4 percent average decrease in Oregon to a 16 percent average increase in Indiana. The July poll finds that fewer than four in ten Americans (37 percent) are aware that people who got new health insurance under the ACA had a choice between private health plans, while about a quarter (26 percent) think the newly insured were enrolled in a single government plan and about four in ten (38 percent) say they don’t know enough to answer the question. Most likely much of the negative impression of Obamacare is based upon such lack of understanding of what the Affordable Care Act actually does, complicated by a relentless misinformation campaign being spread by the Republicans.